The Philippines has more than 85 airports, 9 of which are international airports. That’s about one airport per province. Composed of more than 7,000 islands, the Philippines must have an efficient transportation network to move people and goods within the country. But do we really need to build more airports? Based on the 2009 State of the Nation technical report, the government plans to create 5 more international airports. What is the ideal number of airports for a small country like the Philippines? Batanes, that beautiful tiny province in the north, has two airports: Itbayat and Basco. The Ilocos Region has two international airports: Laoag and San Fernando (Poro Point). To increase tourist arrivals in the sparkling Hundred Islands, Alaminos in Pangasinan wants to build its own airport even though the city is a mere 4 hour drive from Manila. Metro Luzon has four international airports: Subic, Clark, Ninoy Aquino (in Pasay), and the soon to be constructed Southern Luzon International Airport. Palawan, the so-called last frontier of the Philippines, has four airports: Balabac, Puerto Princesa, San Vicente, and Busuanga. Negros Island, the land of sugar barons, has three airports: Bacolod-Silay, Kabankalan, and Dumaguete. Panglao Island in Bohol, the next Boracay of Visayas, is not satisfied that there is a nearby Tagbilaran airport. It wants to build its own airport. Siargao Island, the surfing capital of the country, is going to have its own airport even though the island is very accessible from Surigao City. If the Laguindingan Airport in Misamis Oriental is completed, what will happen to the Cagayan de Oro airport which is also located in the same province? Building airports requires huge investments (usually foreign loans). The Filipino people and airline passengers will pay for these mega infrastructure. Airports occupy large tracts of land. Prime agricultural land can be converted into airports. Expanding the airport system can undermine the country’s food security. Feed the hungry by destroying a rice field so that an airport can be built where rice donations from abroad can be transported? Airports can improve tourism numbers but it can also damage the environment. Airports can destroy the natural habitats of endangered species. Airports generate pollution (noise and air pollution). Flying is more dangerous than driving in terms of impact on environment. Stop being so harsh on tricycle drivers for polluting the air. Wanna stop climate change? Then reduce air travel. Tourists want to visit the country’s exotic islands because they appreciate and enjoy the natural beauty of the Philippines. If we build a runway and airport facilities in a unique island like Panglao, are we not spoiling the country’s natural treasure? In the long run, building too many adjacent airports can be counter-productive. Commercial overdevelopment can destroy the attractiveness of our wow islands. Remember Boracay. 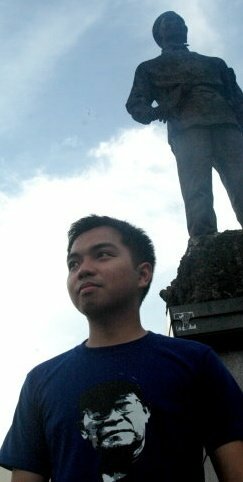 Remember Baguio. Building airports is not the first requirement to enhance tourism numbers. There must be a sound tourism plan. There must be exciting promotional packages like what the local government did in Camarines Sur (which by the way is the country’s number one tourist destination of the year). Improving the tourism infrastructure is crucial but it is not always necessary to depend on airports to attract tourists. Tourism must also address the needs of the community over that of foreigners. Are we building airports to generate tourism dollars alone? Indeed, airports stimulate economic activities. They bring in money, goods, investors, and our very own balikbayans. But airports also bring in pedophiles, human smugglers, and military warships. We have to rethink the economic activities that airports are supposed to produce. We have 85 airports (at the moment) yet we remain impoverished. Our economic profile remains the same: agricultural, pre-modern, pre-industrial. If the national leadership continues to worship the neoliberal dogma, then our airports will continue to transport cheap imported goods, prostitutes, and politicians. Don’t confuse airport building with national industrialization. Don’t equate airport expansion with economic growth. The road (or runway) to prosperity starts with the basics: productive agriculture, strong basic industries, skilled workforce. These goals cannot be attained by building airports alone. The academe must intervene. It should identify the maximum number of airports the country should build, maintain, and develop. The transportation infrastructure plan should be comprehensive. As an archipelago, shouldn’t the Philippines focus on shipbuilding? Build more fast ferries. Build more modern ports. Encourage water transport. Bullet railways are needed in Luzon and Mindanao. But politicians and technocrats, being what they are, will always prefer mega projects which can yield mega kickbacks too. Airports create a veneer of modernity; airports are perfect infrastructure legacies for politicians in search of legitimacy and credibility. There are 7,000 islands in the country. Are we aiming to build 7,000 airports too? This entry was posted on Thursday, November 12th, 2009 at 8:18 am	and is filed under places. You can follow any responses to this entry through the RSS 2.0 feed. You can leave a response, or trackback from your own site.